The ultimate team for the ultimate problems. 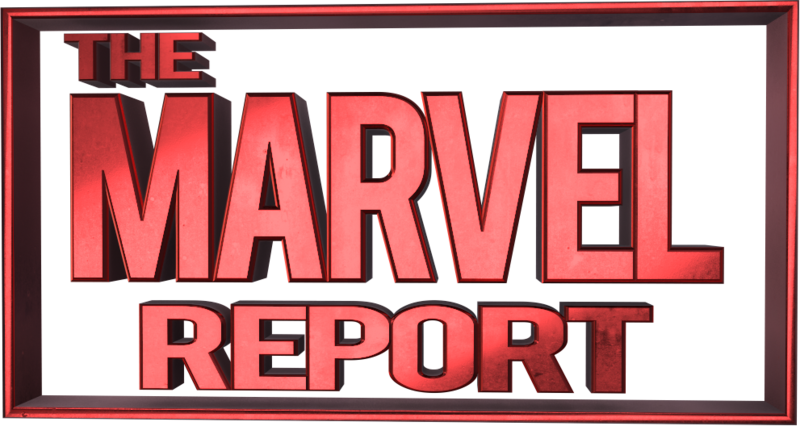 Marvel has assembled one of its most diverse teams with Captain Marvel, Black Panther, Spectrum, Blue Marvel, Miss America, and now the Anti-Man. 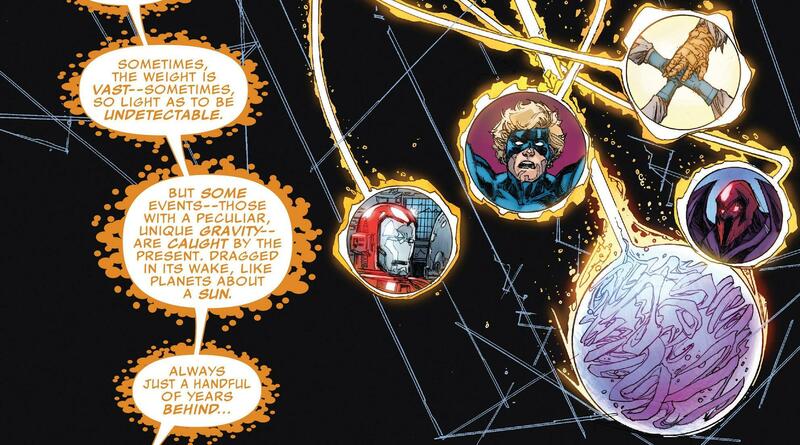 Plot: Outside of the Omniverse itself the Ultimates seek answers on time space itself. 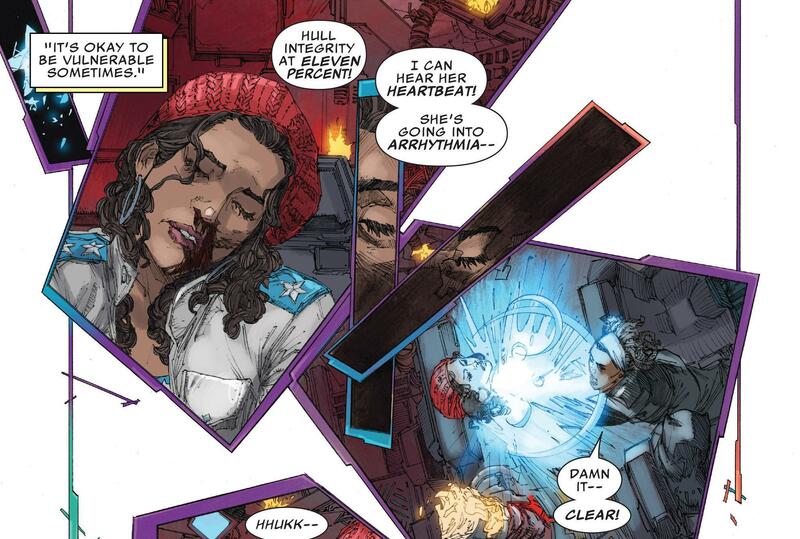 This is an area where no living being is supposed to exist, and the strains are taking its toll on the Ultimates, ship and even the Ultimates member America Chavez, Miss America. With Miss America down who can get the team home? But the biggest question will be, if they are outside of time space beyond any limit mankind has ever known… what’s out here seeing into them? Story: It is funny that this book starts with the story of the rebirth of the Marvel Omniverse at the hands of the Fantastic Four, since this title has become the new Fantastic Four in many ways. 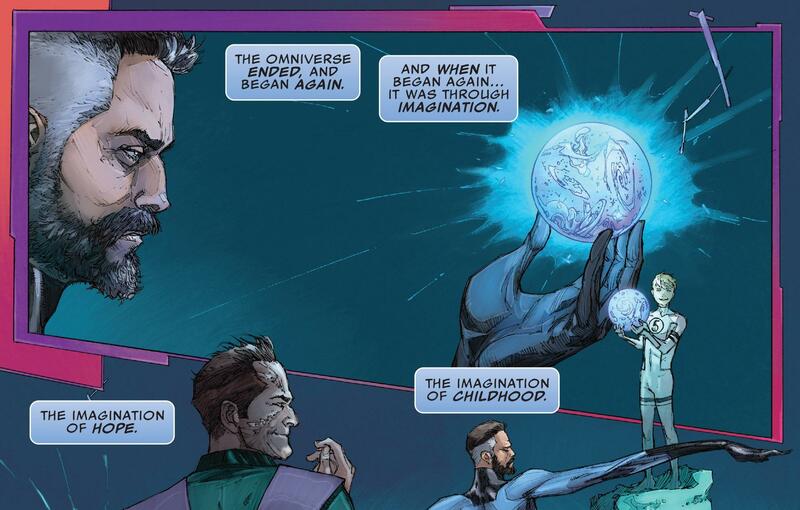 We have Blue Marvel and Black Panther filling the cranium of Reed Richards, the scientists of the team. Captain Marvel is the beautiful, confident, powerful woman who fills Sue’s role. The fun, young impetuous hothead of the group is Miss America, why Ant-Man fills in the role vacant by The Thing. I know this is just a superficial comparison to those roles but I think if you look at it they do fit them. This book is also the big idea science series that was left vacant when the Fantastic Four ended. With that comparison I have to share the same concern, in that the Fantastic Four was known to not make big numbers because it is such a big idea science driven book. I hope that pattern can break with this title. The concept of the book intrigues me greatly. They take on the biggest problems in the Marvel Universe, first they solved the Galactus problem turning him from the Devourer of World’s to the Lifebringer, and this arc is them trying to fix that hanging plot line from Age of Ultron where time was broken. I really did find it interesting the way that Galactus came and rescued them, and explained how fluid time is, even the past. As a science geek myself I have to admit this was really interesting, but at the same time I can step outside of my wheelhouse to know that this can really turn others away. There is a reason why people say time travel gives them headaches. Despite the fact that this is called the Ultimates, I think the star of this issue was Galactus who himself admits he doesn’t understand everything to Eternity and doesn’t wish to. I am not sure how I feel about Galactus yet, I think a part of me is waiting for his return to the purple look and eating of worlds. 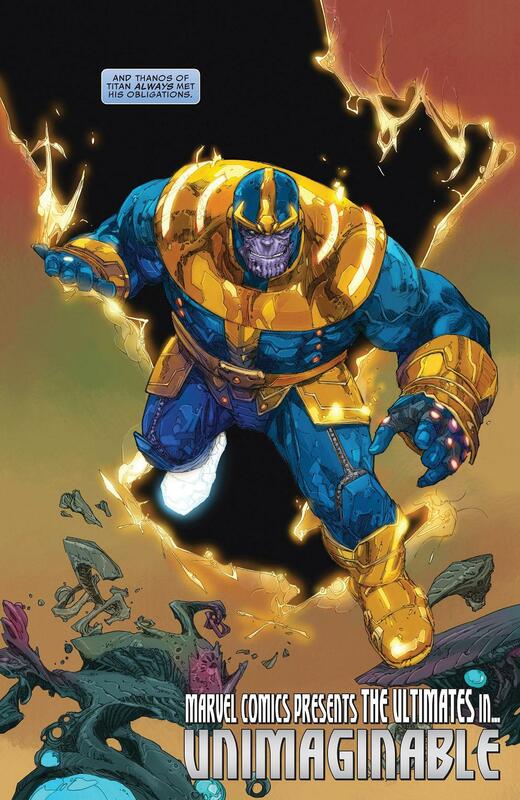 The other star was someone in the background but a focal point of the issue, Thanos who was totally destroyed from space time in Secret Wars but is now back in the main Marvel Universe thanks to the Ultimates. 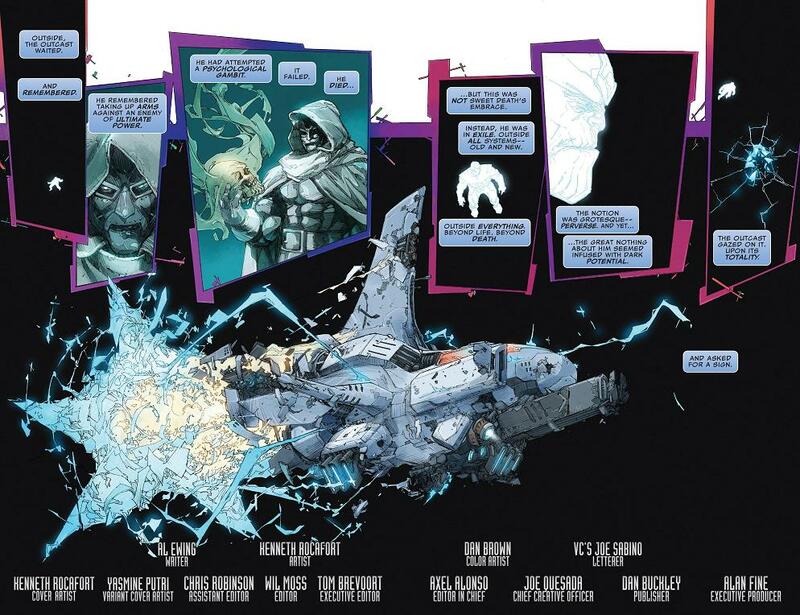 Art: The art was good in this issue, but at times due to the lack of space I would have liked more details. The layouts for the panels were some of the best use of the negative space. 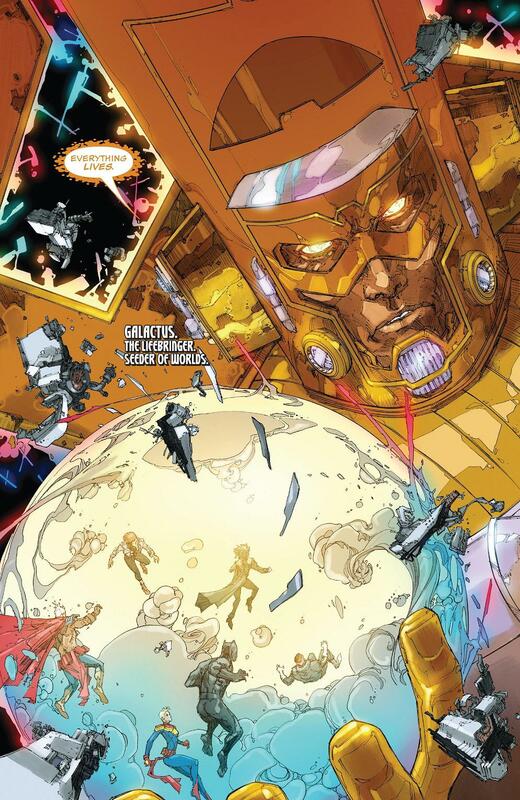 But I am not too sure what I think of the gold look of Galactus yet. Verdict: Overall I did enjoy this issue, but I think the concept over exceeded the final product. I am looking forward to seeing how they tackle the space time problem though, and what Eternity has planned for them. 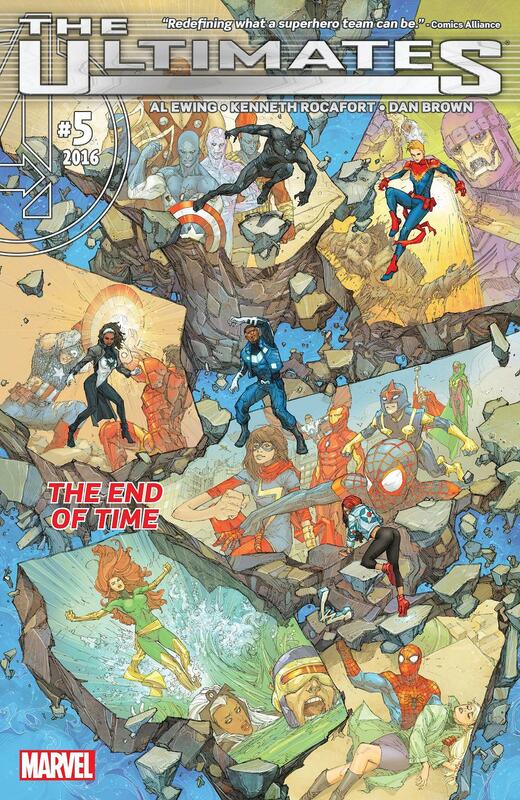 I compared this title to the Fantastic Four, and I think what they need to keep people interested in it is to give us a sense of family, the Ultimates seems too detached and lacks that chemistry that a book like this needs. Hyperion #1 Review: Beware The Carnies!